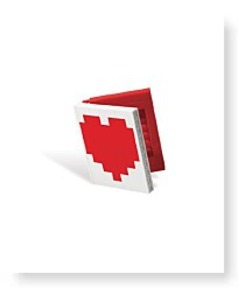 LEGO ® Heart Book * 40015 * Build a keepsake for your valentine! Holds a wallet-sized photo inside! 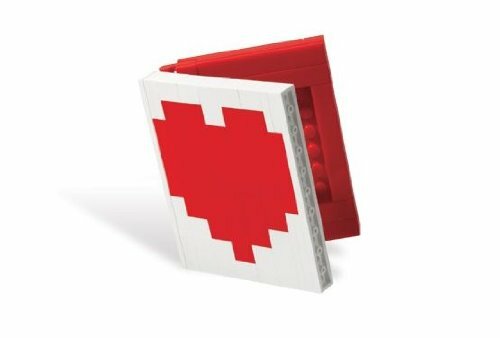 Build the love this Valentines Day with all of the LEGO ® Heart Book! This buildable hinged book with heart design holds a wallet-size picture inside. 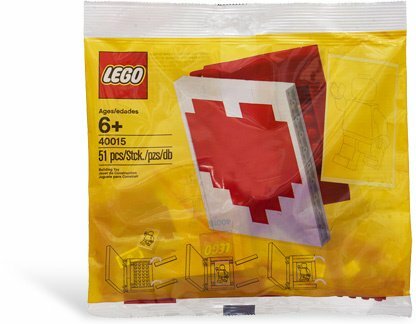 From LEGO Makes a perfect desktop display frame and gift for your sweetheart. Makes a great gift! Stands over 3"(7cm) tall and practically 5"(12cm) wide when open. Ages 6 and up. Package: Height: 0.8" Length: 7.4" Depth: 6"